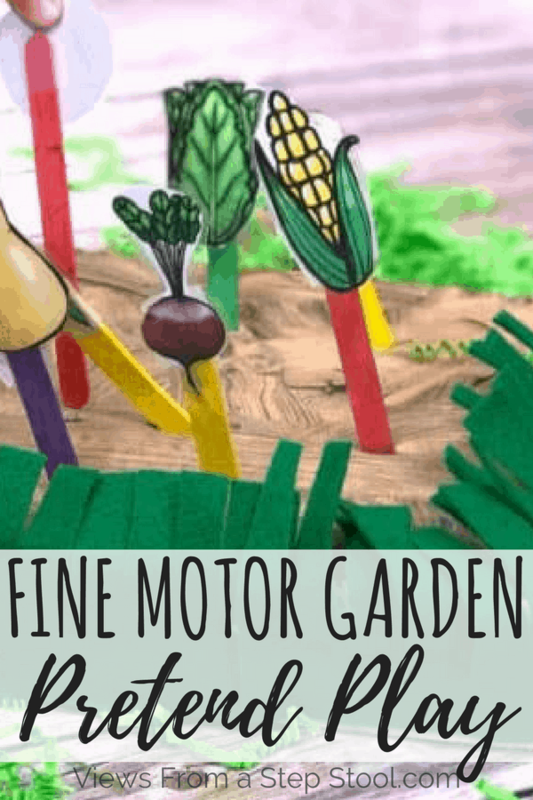 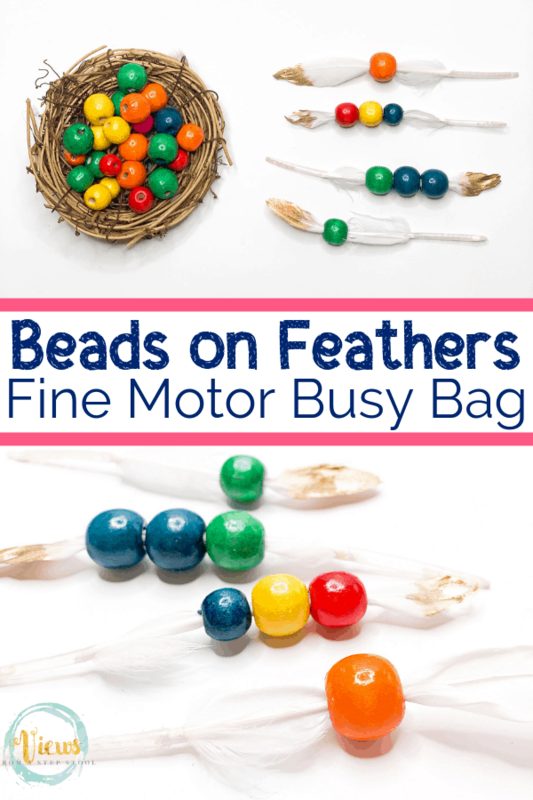 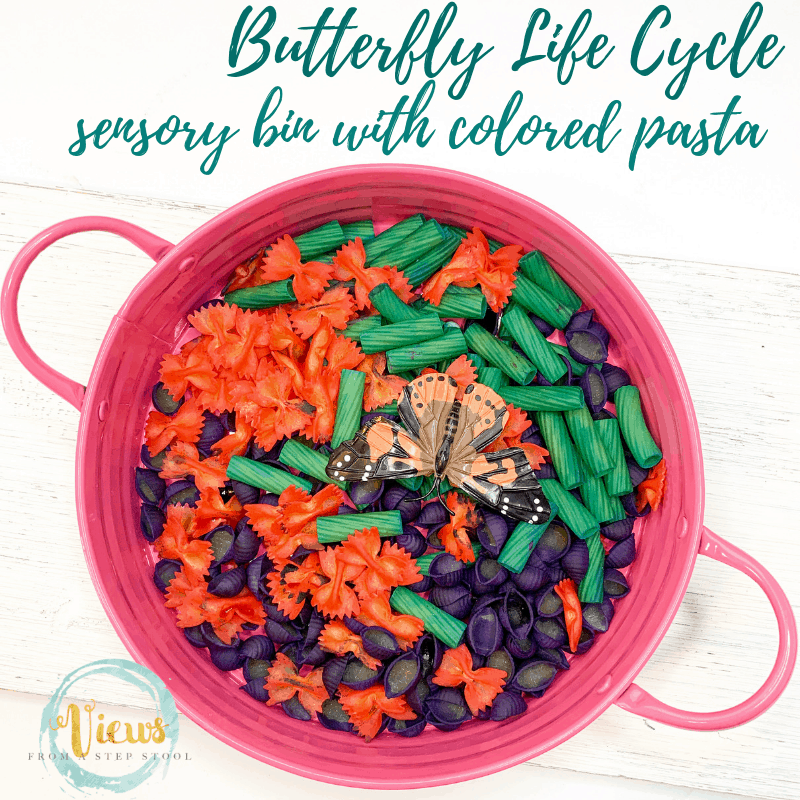 Find out which types of pasta to use to make this fun and educational butterfly life cycle sensory bin. 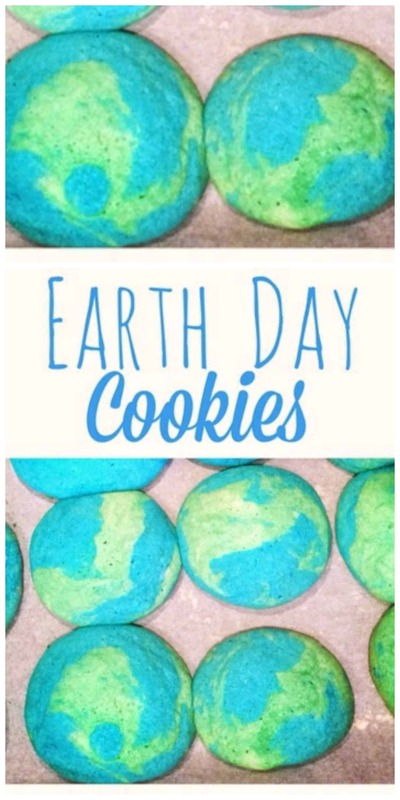 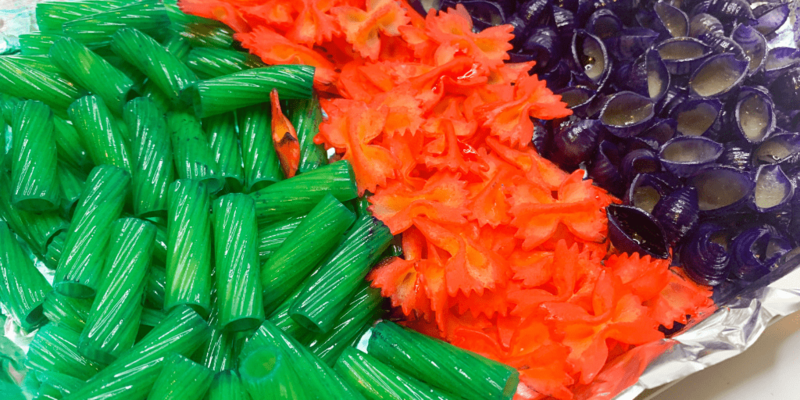 Dyed pasta with food coloring that kids love. 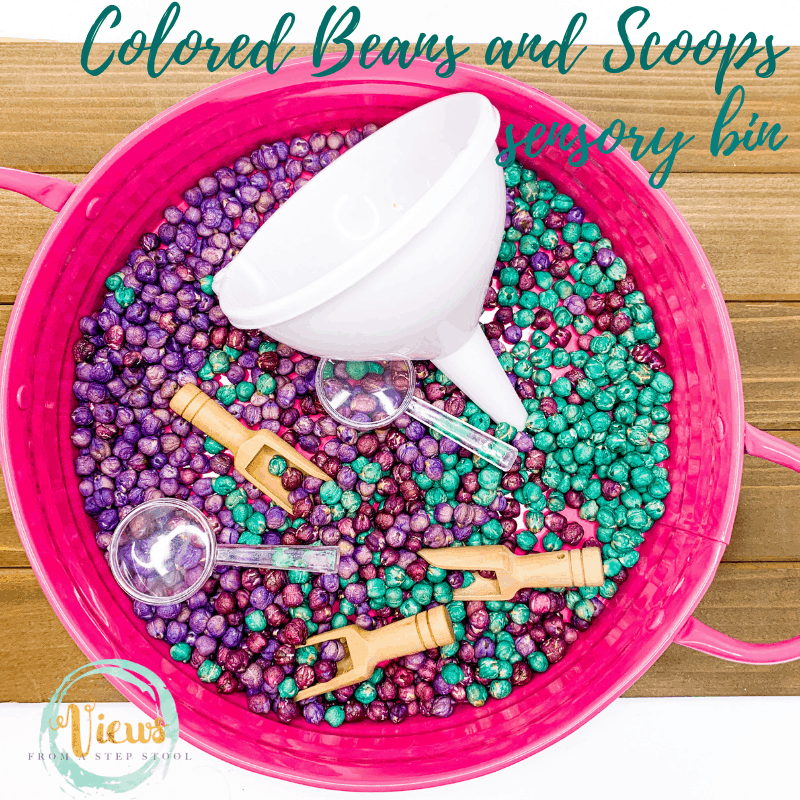 Sensory bins are one of our favorite ways to explore a topic. 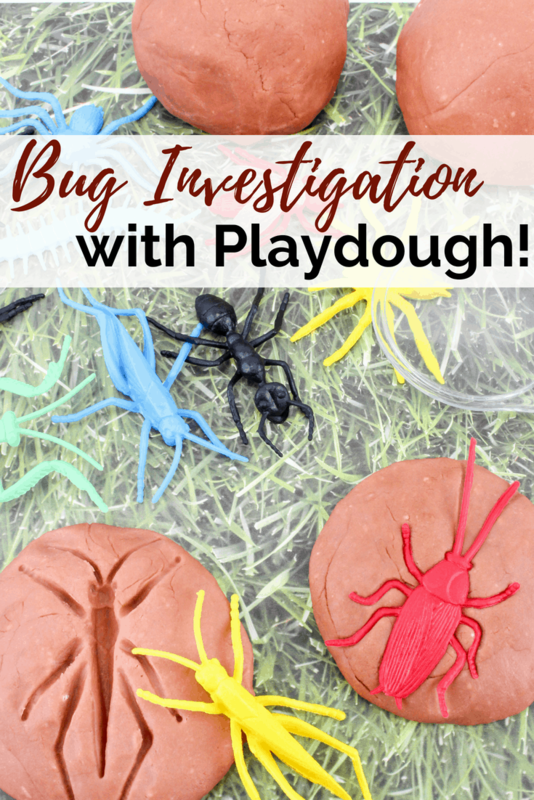 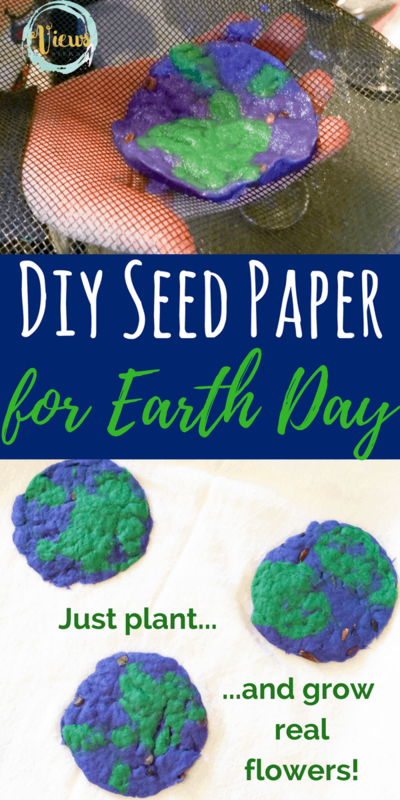 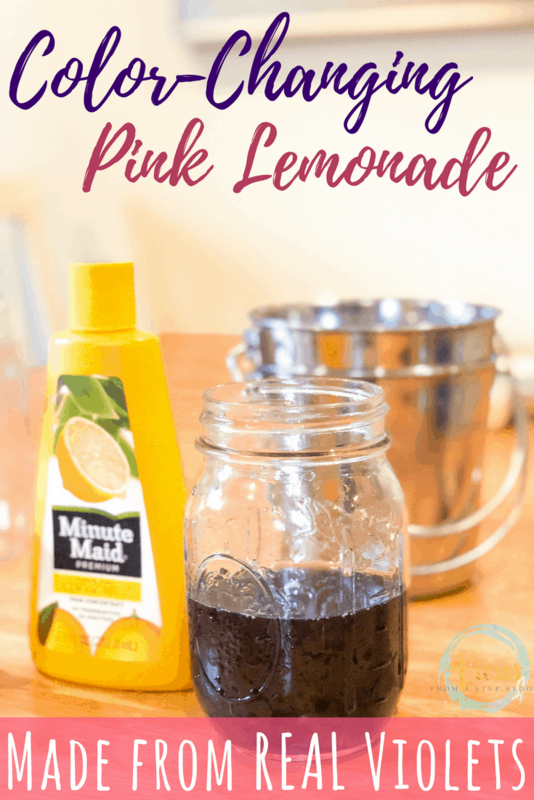 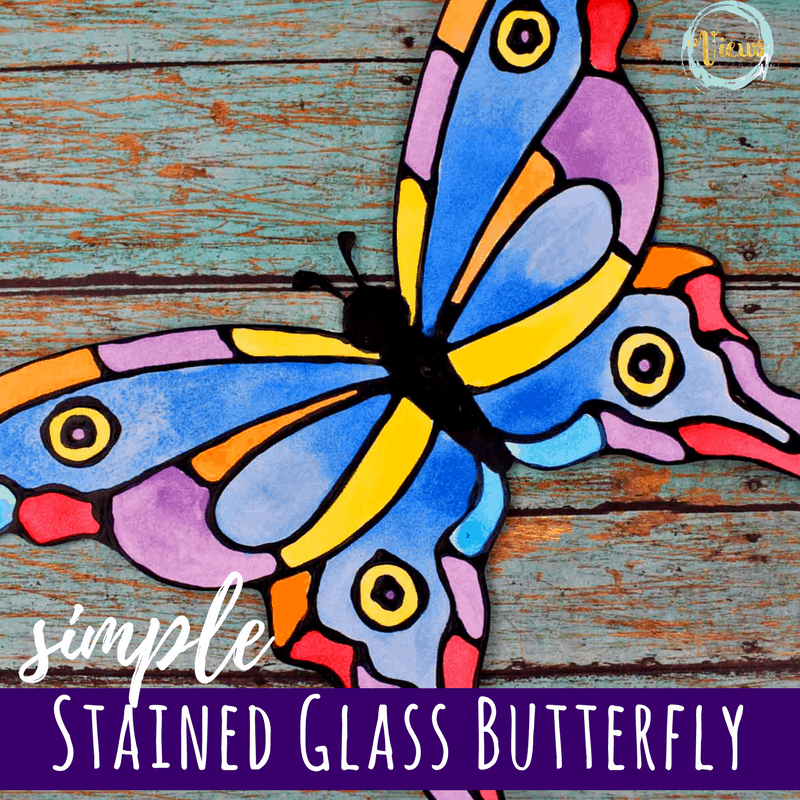 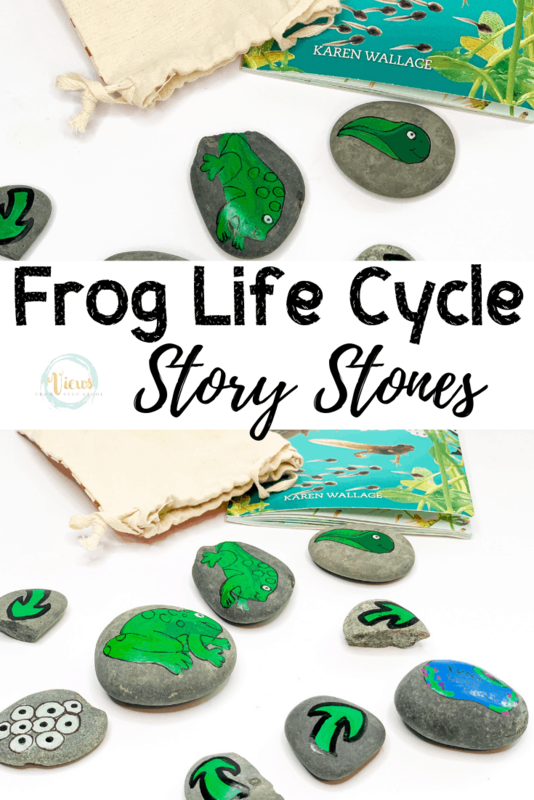 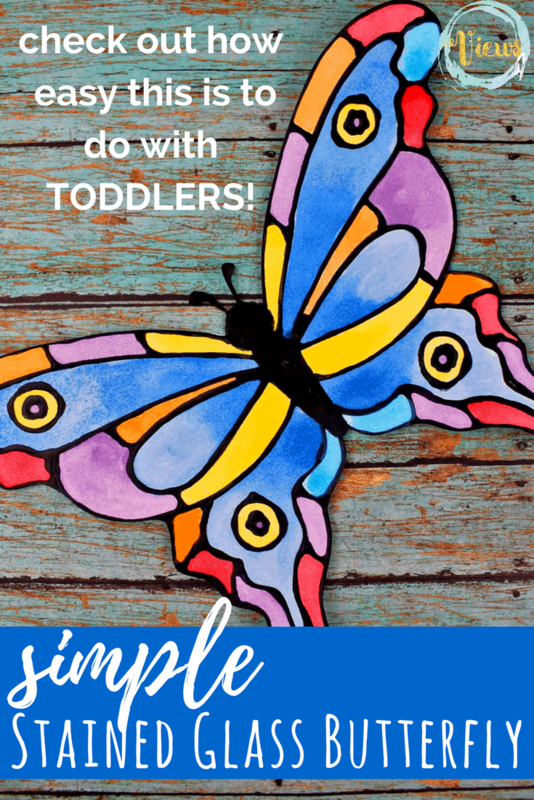 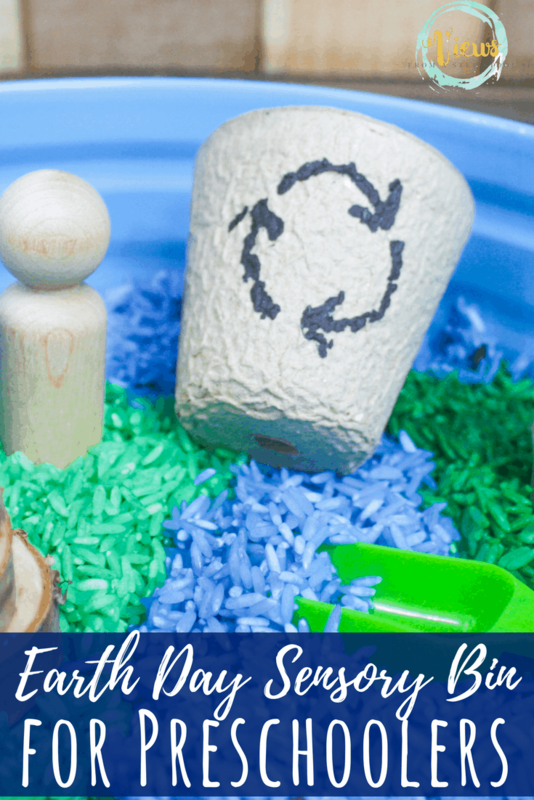 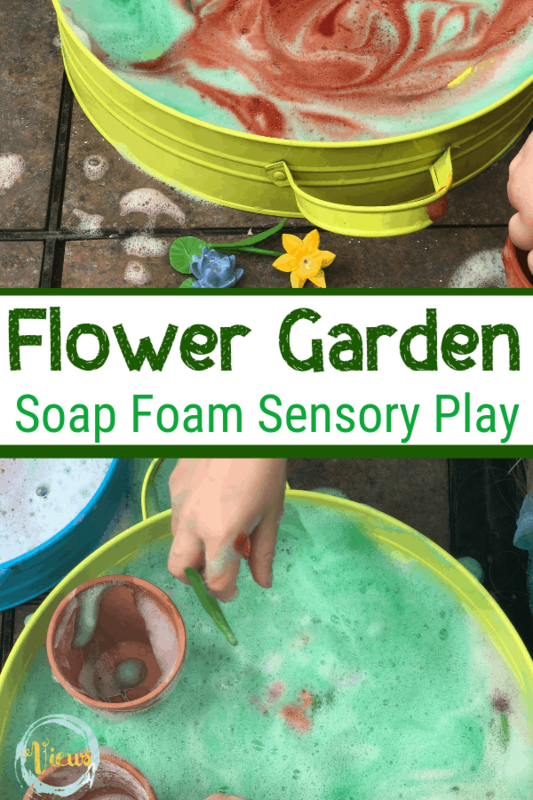 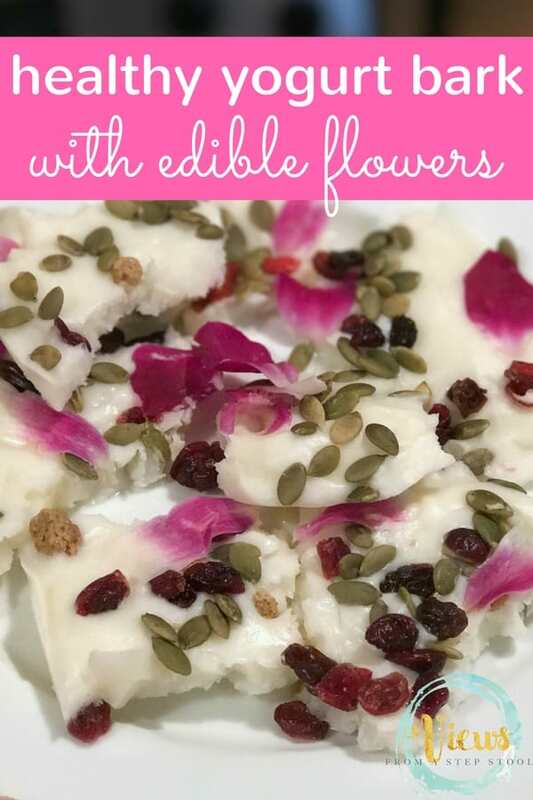 This butterfly life cycle sensory bin was super easy (and fun) to make as well as clean up…the latter is not always a given with some of the ones we have made in the past! 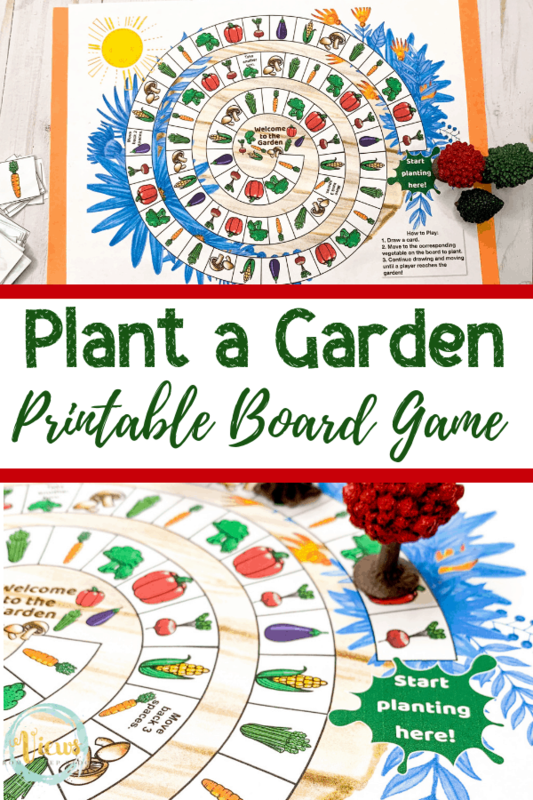 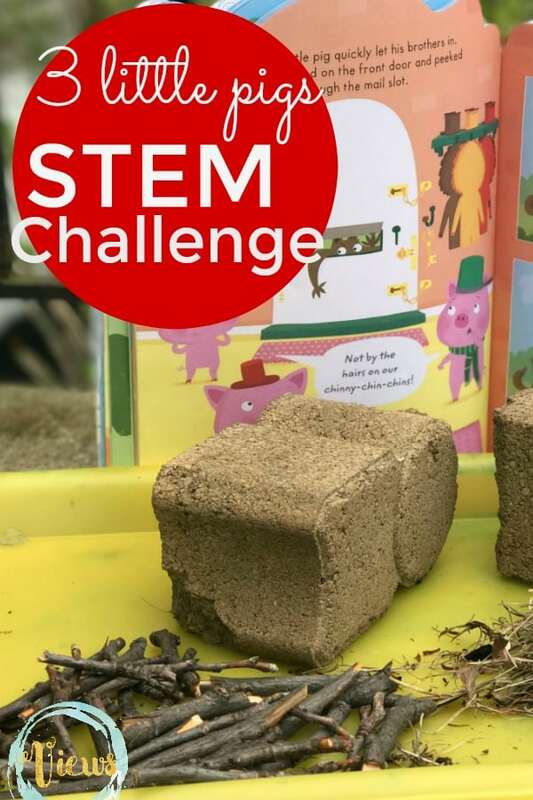 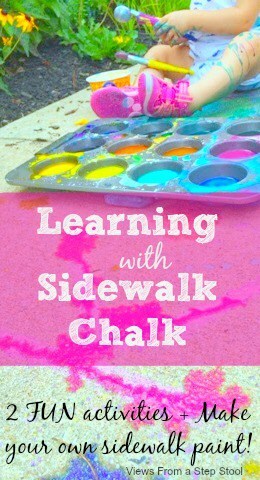 It is a fantastic way to promote learning and engagement and can be excellent for tactile and visual learning. 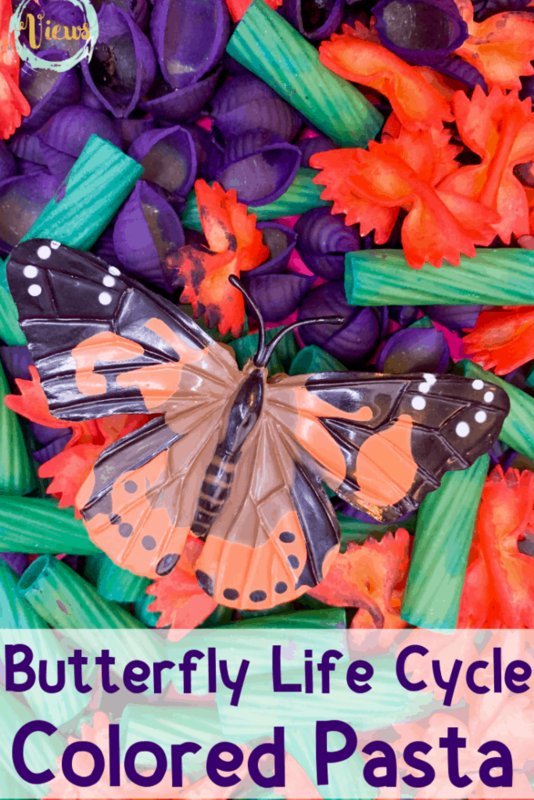 This butterfly life cycle uses colored pasta to represent all of the stages of the butterfly, from egg to butterfly! 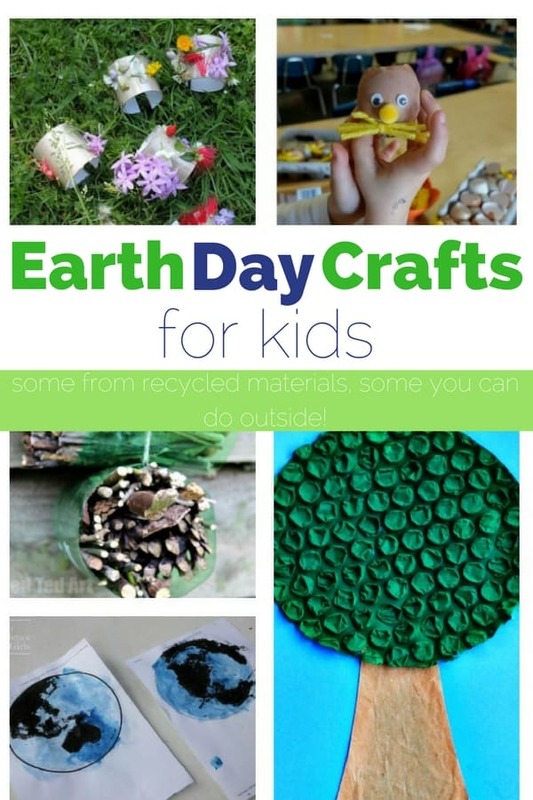 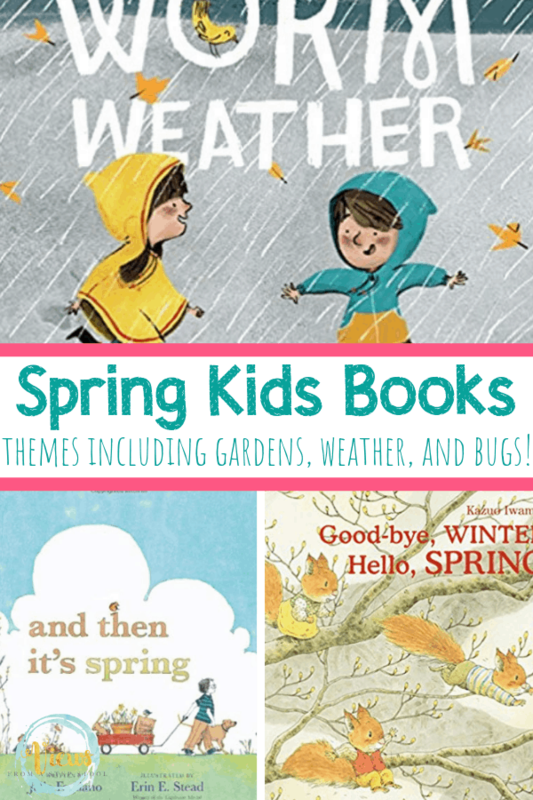 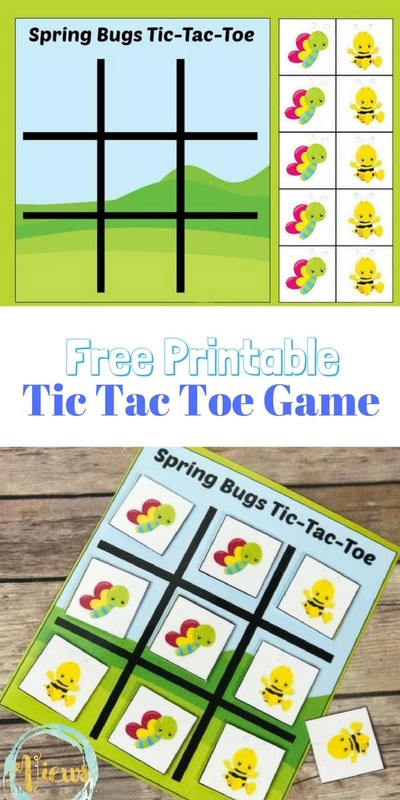 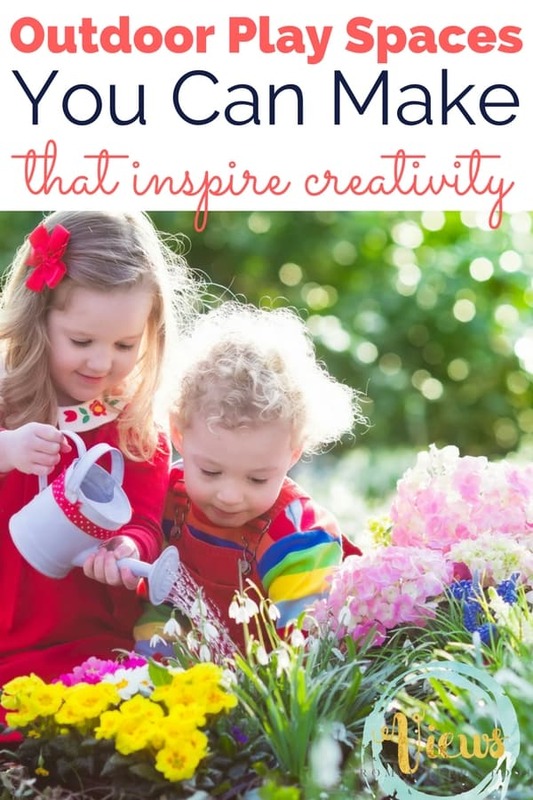 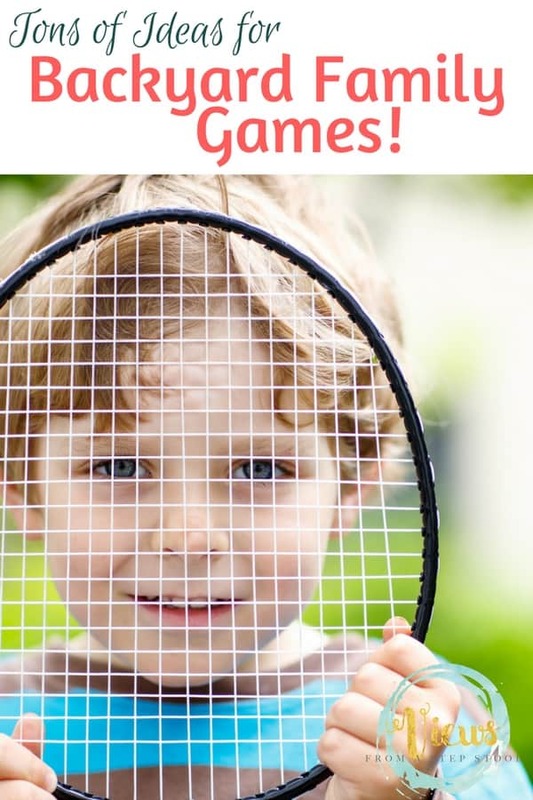 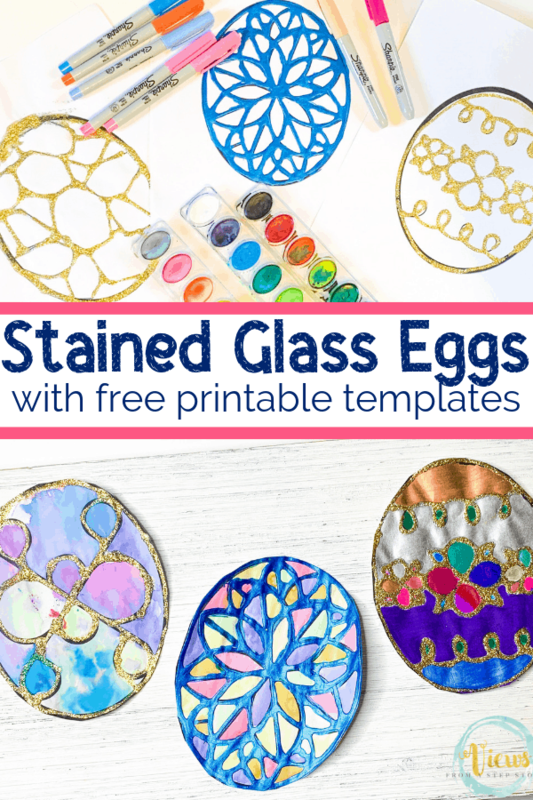 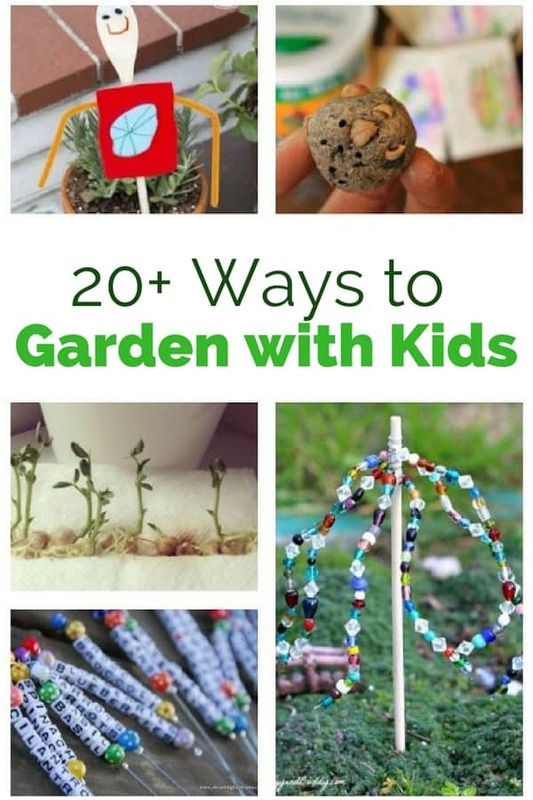 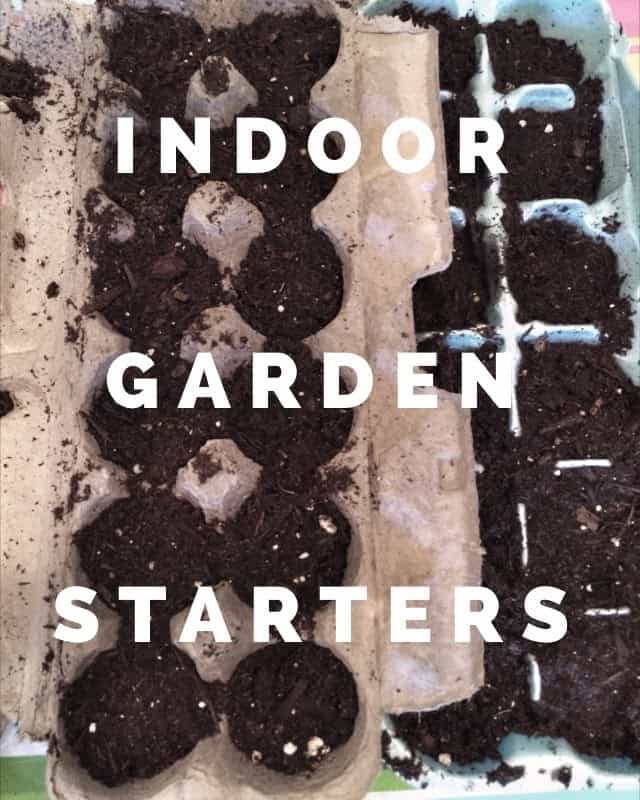 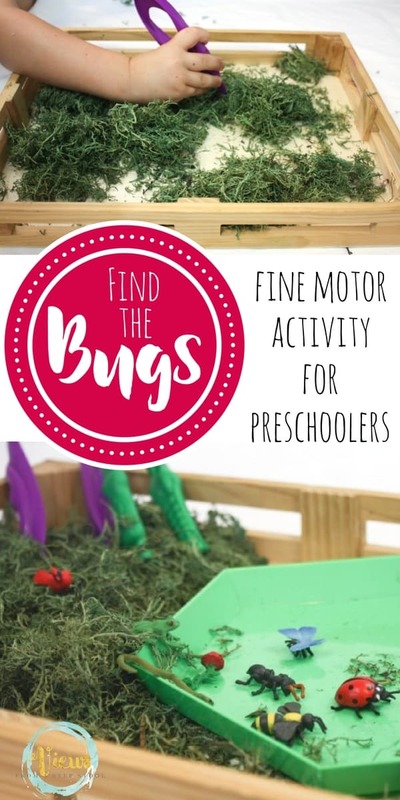 What a fun way to explore and categorize with children. 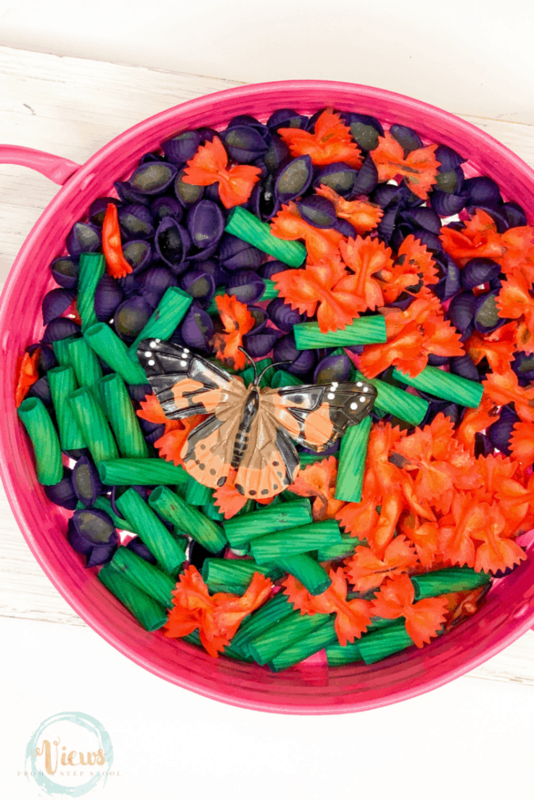 I started by gathering our different pastas representing the egg, caterpillar, chrysalis and butterfly (shells, rotini, rigatoni and farfalle) and separating them into large ziplock bags for coloring. 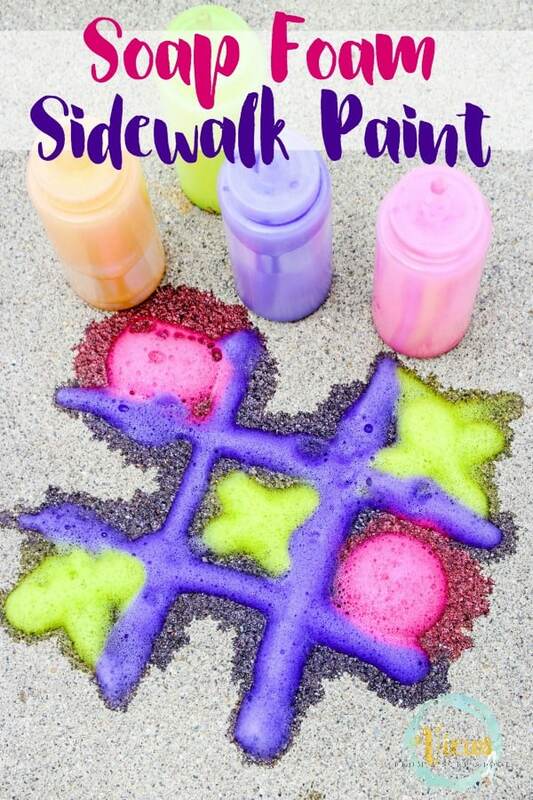 In each bag we added a few pumps of hand sanitizer, to help the coloring spread, along with a few drops of food coloring. 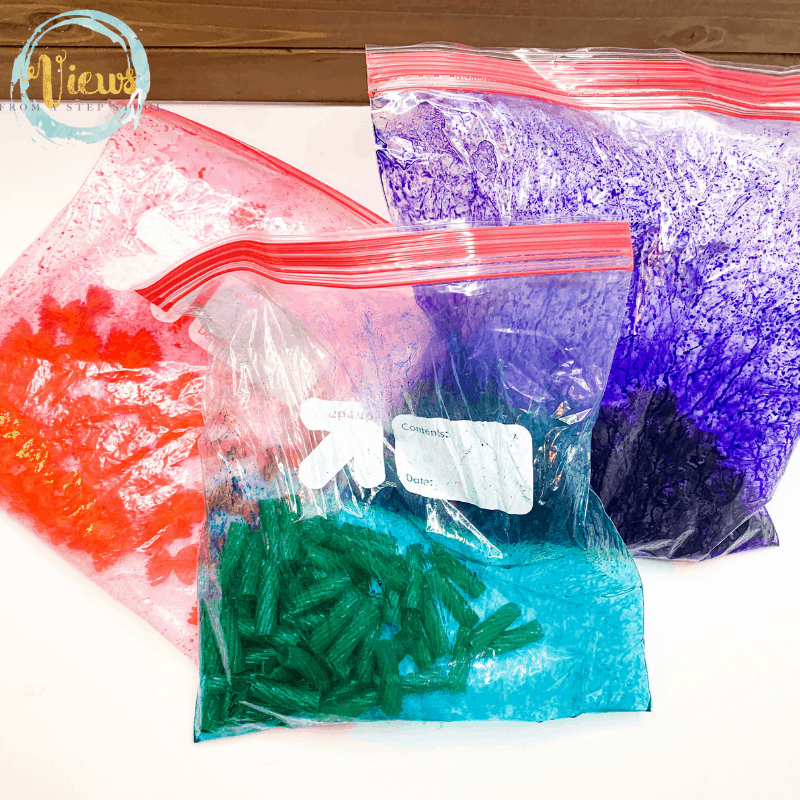 Seal the bags tightly and give the kids a bag to let them shake. 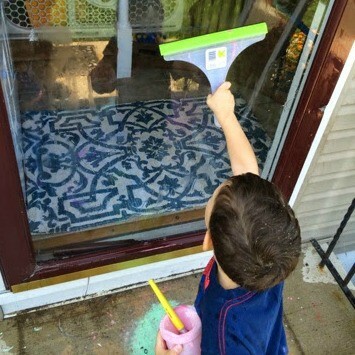 This will probably be their favorite part, I know my kids love it! 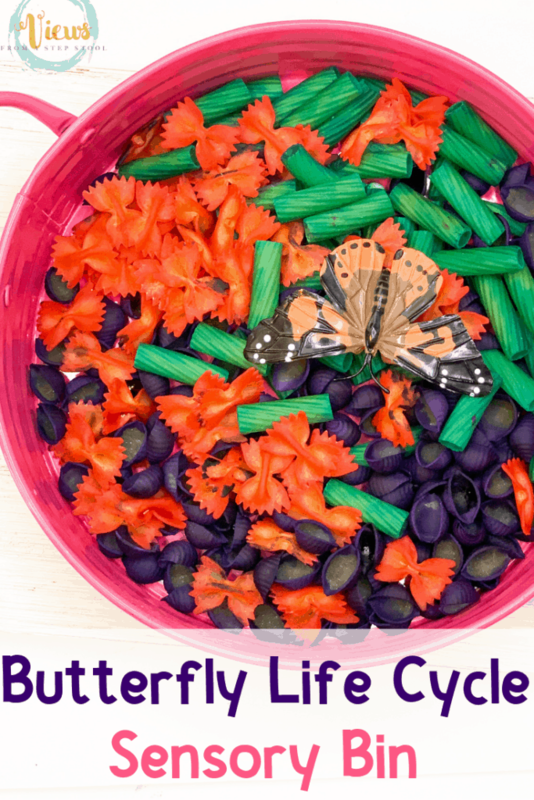 Once all of your pasta is evenly coated, spread it out on a baking sheet to dry. 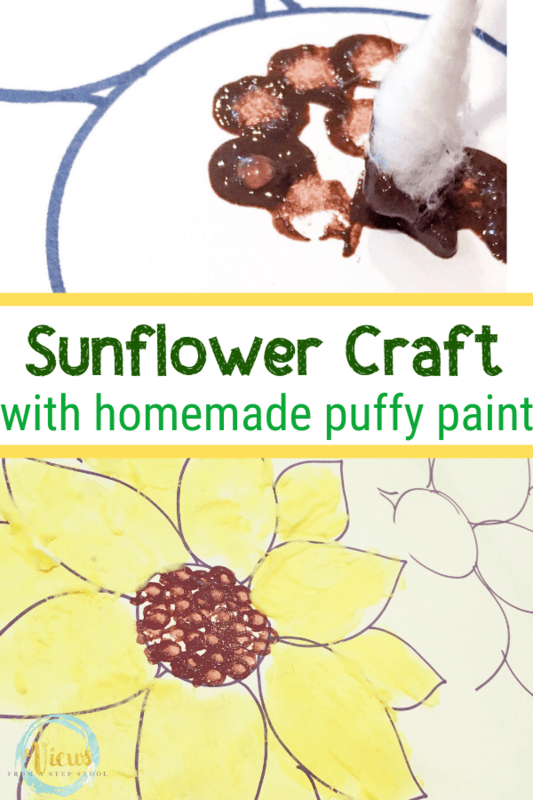 This will take a few hours to dry completely. 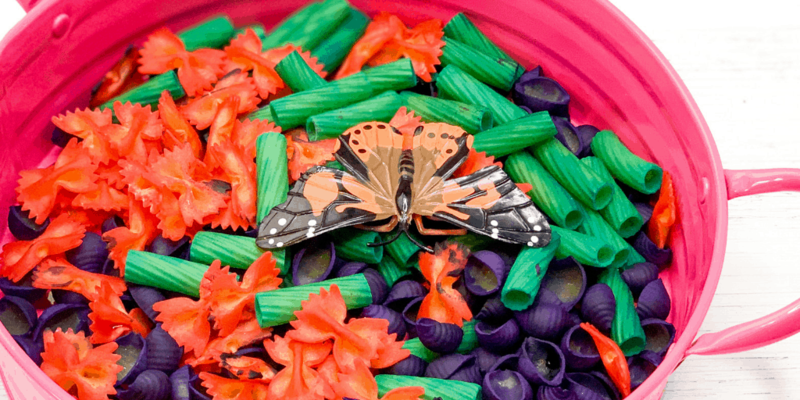 Coloring cooked pasta looks better as the colors show up a little brighter and the pasta is more evenly colored but I chose to use dry pasta because I wanted it to last for a while. 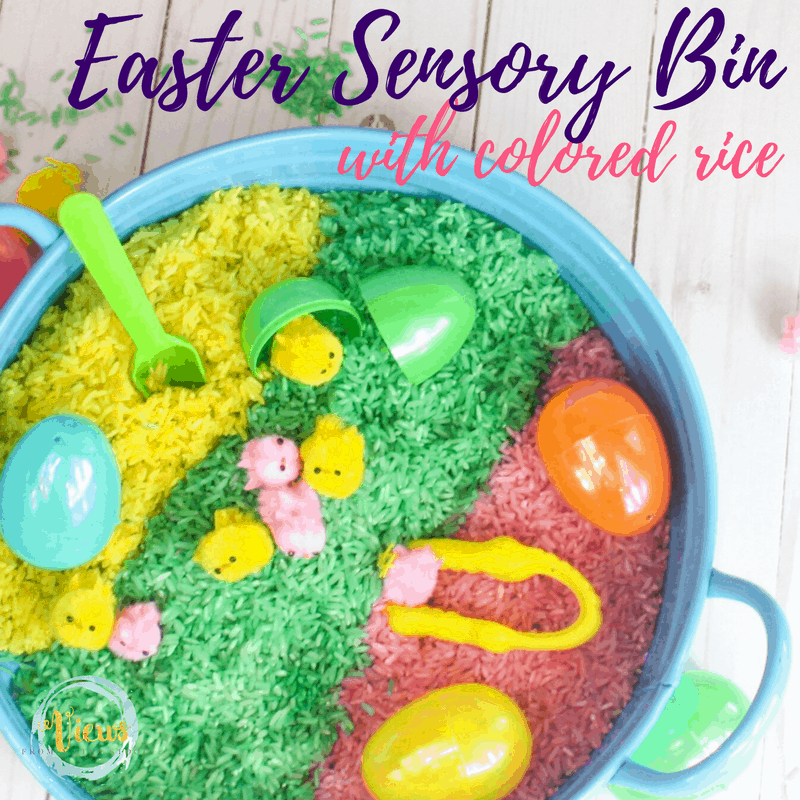 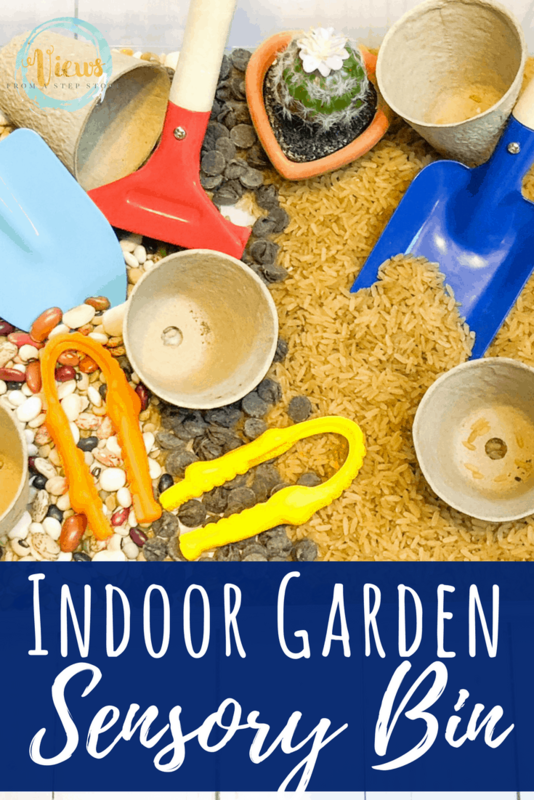 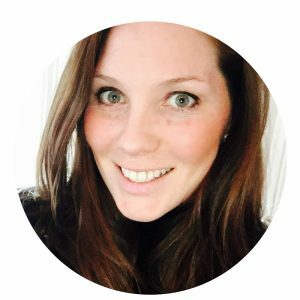 I like to be able to pull the sensory bin out every day for a week or so and give the kids a different activity to do with it each time. 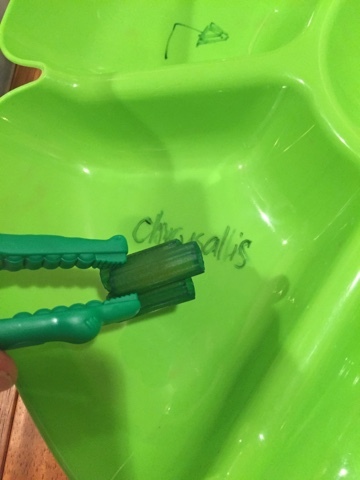 This can be as simple as adding some new spoons for scooping or using a sorting tray (what we did here). 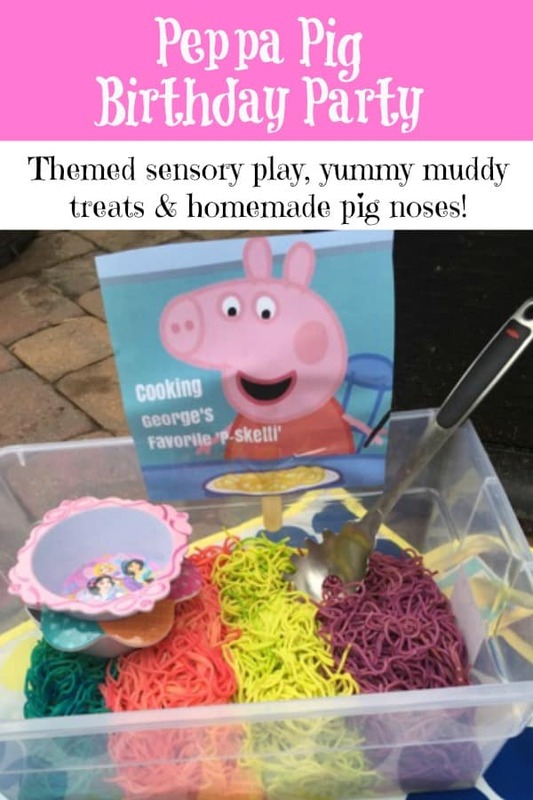 Once dry, add the pasta to your bin! 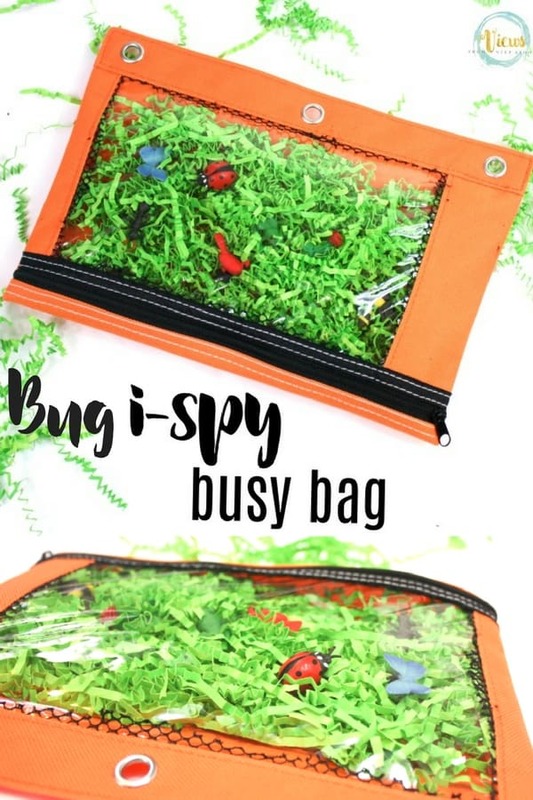 I like to use the plastic shoeboxes as our bin because they are deep enough to contain the contents but are still accessible. 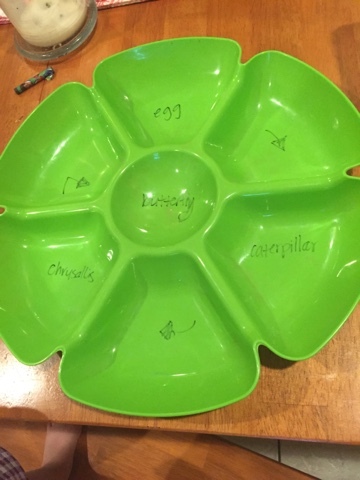 I chose to take a plastic chip and dip tray and write on it with dry erase marker to make a sorting tray for the life cycle. 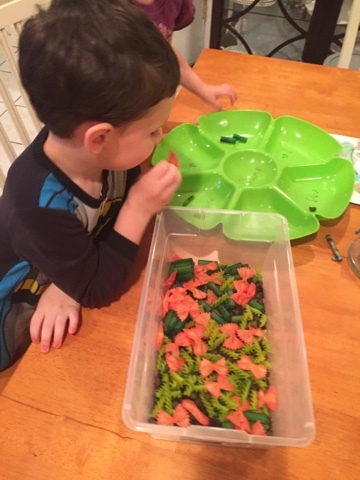 M (4) loved the sorting while A (2) just liked to scoop and investigate the different pastas. 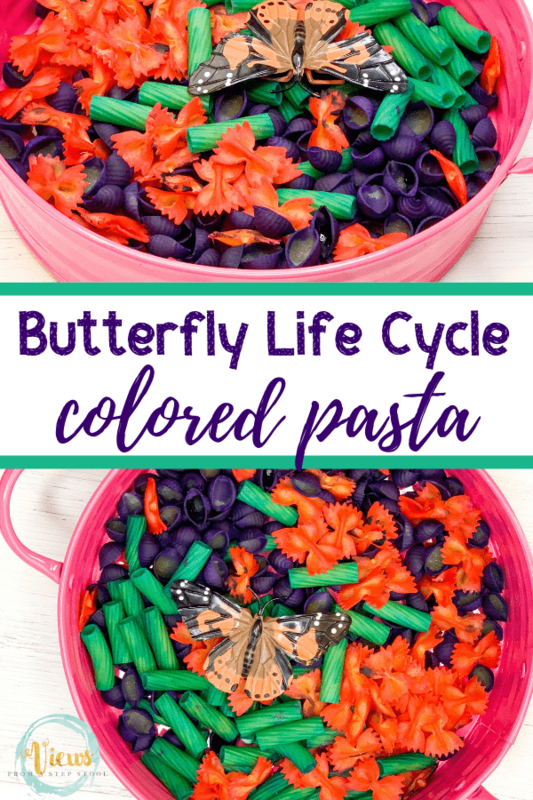 Have so much fun making this butterfly life cycle sensory bin with colored pasta! 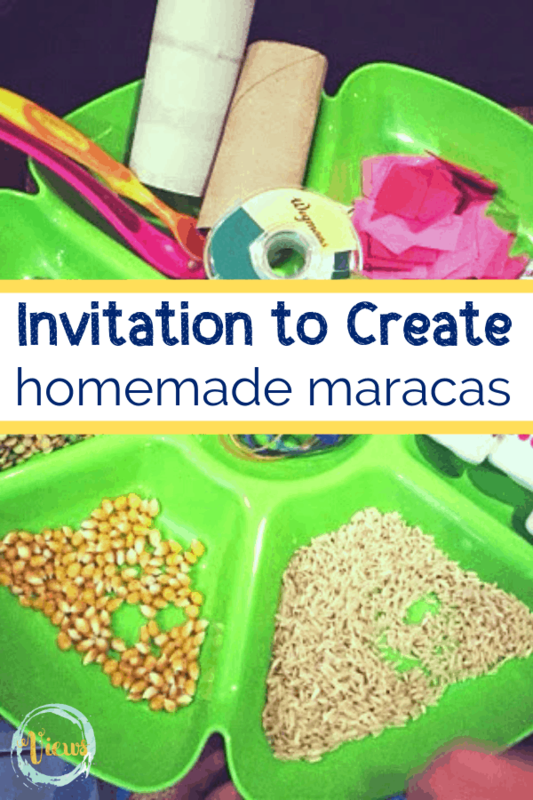 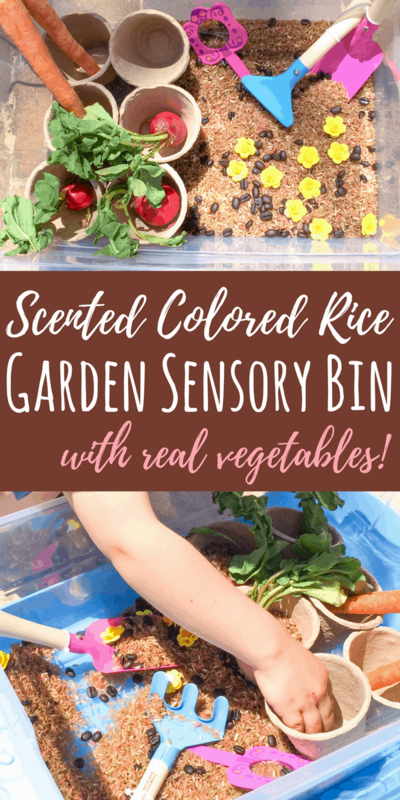 From colored rice, to dyed beans, and colored pasta, sensory bins are so fun to make! 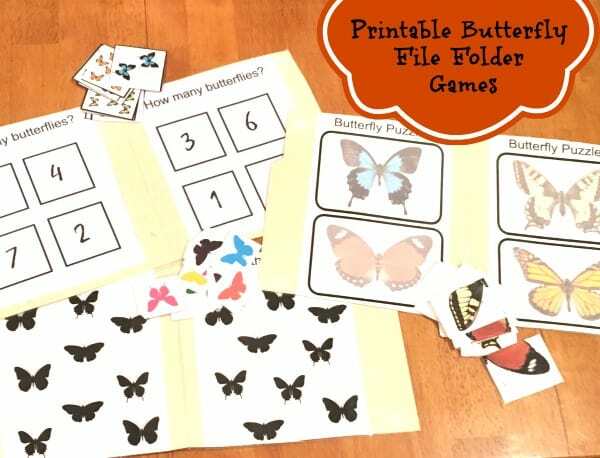 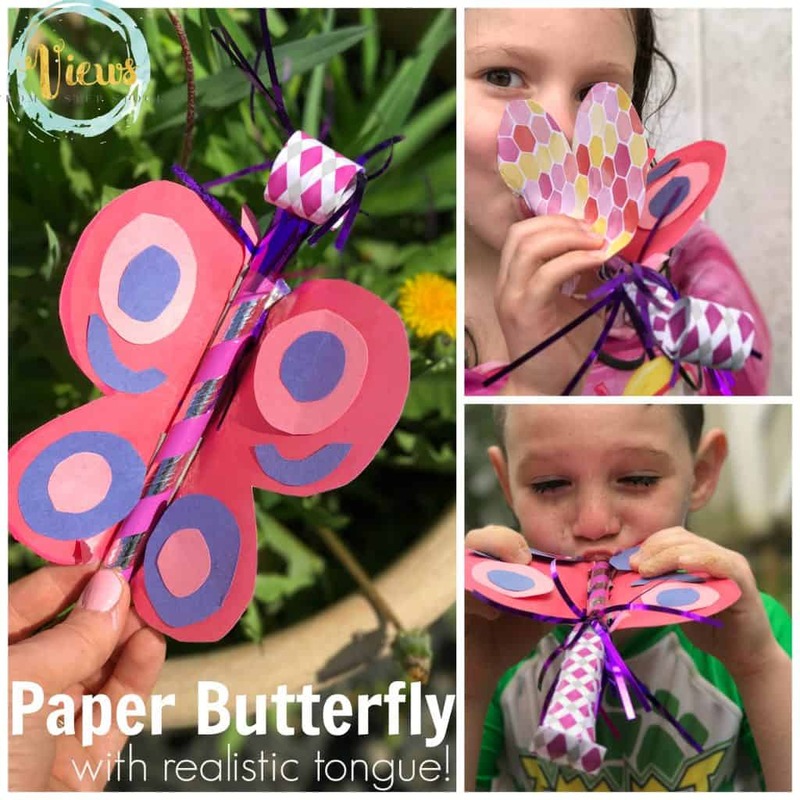 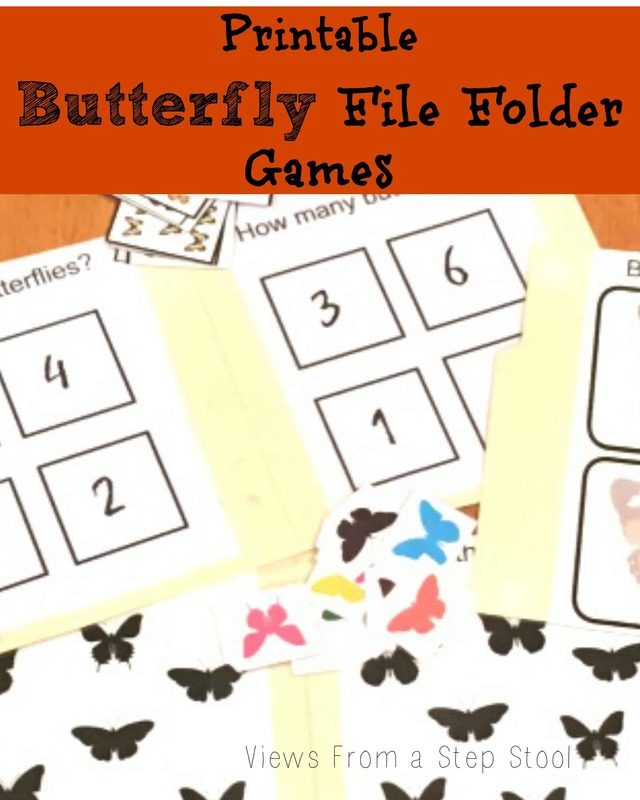 We love crafting and playing with butterflies! 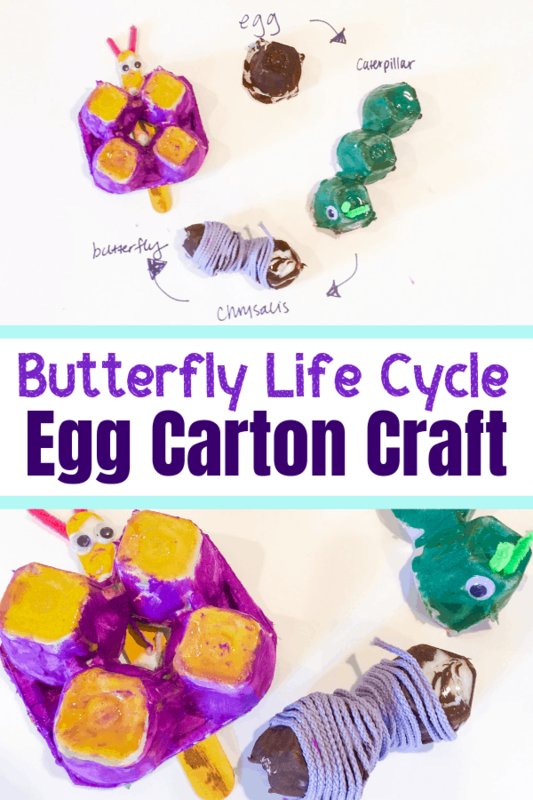 Every Spring, we watch as caterpillars transform into beautiful butterflies and release them. 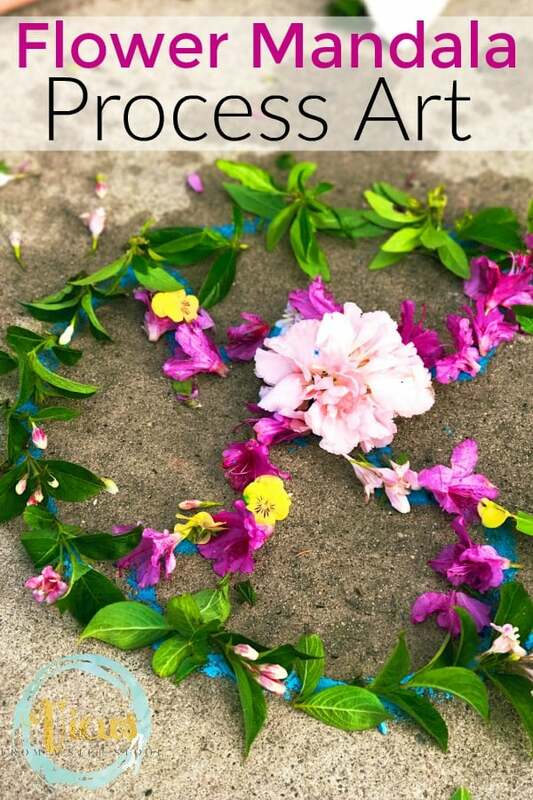 This is beautiful and fascinating each time!